A new men's wedding ring from TitaniumKay.com is the cobalt chrome 8mm 3 blue sapphire wedding band with stepped edges. Made from one of the worlds strongest metals cobalt chrome with high polish stepped edges leading to a satin finish on the surface. 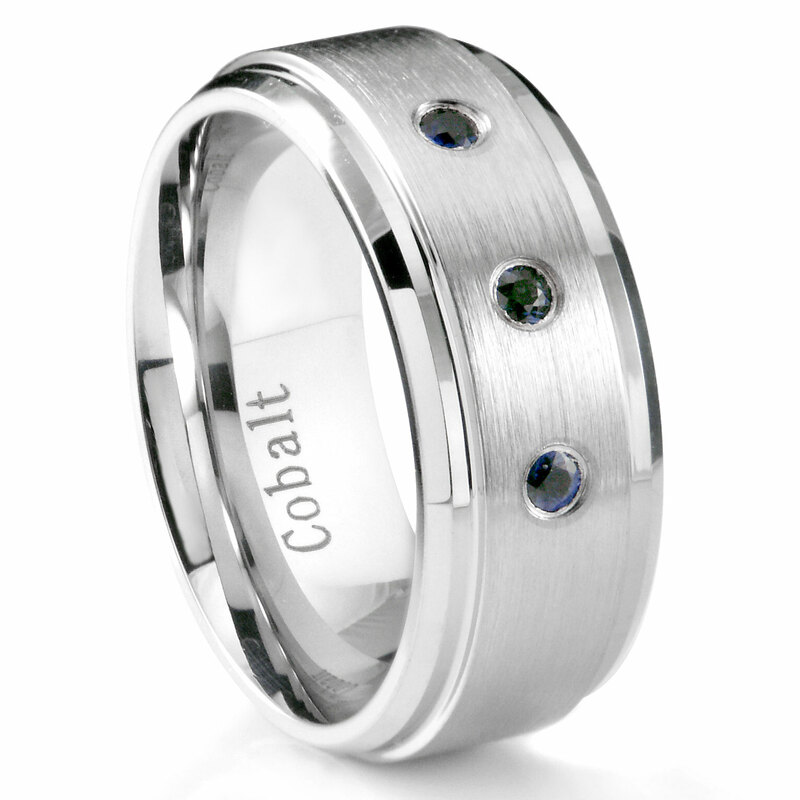 On the top surface of the men's wedding band are three round brilliant blue sapphires, mounted in bezels for secure mounting. Click here for a 7MM matching band.